CTU Aurora is committed to providing classroom instruction that is focused on stimulating student interests. Our courses are taught by experienced faculty who welcome questions, acknowledge input, make themselves available, and establish rapport with each individual. We also offer convenient online Virtual Classroom opportunities and the CTU Mobile App for students on the go. With our mobile app, you can view assignments, respond to discussions, and even track your academic progress. As one of the top 10 cities creating the largest number of new technology jobs in 2017, Denver is having its moment.2 Companies like Oracle and IBM have offices in Denver, and there’s also a vibrant start-up scene.3 From well-recognized technology companies to new organizations, CTU Aurora has the professional ties necessary to support your educational growth. Learn more about the growing industries in Denver. Come together—students, faculty, family and friends! Attend an employer presentation at the campus, gain insight from an industry speaker. Whether you want to network with industry professionals or attend an interviewing skills workshop, at CTU Aurora there are a number of opportunities to participate in any or all of it. At CTU Aurora, an engaging academic environment intersects with the local business community. Many of our instructors are plugged into Denver's dynamic business and technology sectors. They infuse our undergraduate, graduate and doctoral degree curricula with opportunities to participate in real-world projects and solve factual data-based problems. Find scholarships or grant opportunities for your degree! Whether you are a new student, a returning learner, or pursuing an advanced degree, financial assistance in the form of grants and scholarships may be available for those who qualify. 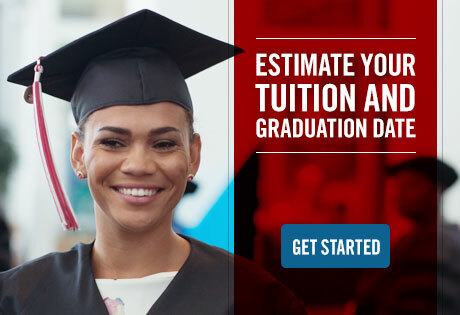 CTU Aurora provides resources for finding and applying for numerous scholarships and grants including the CTU Patriot Scholarship, other CTU-sponsored opportunities, and if eligible, other grant or scholarships made available by the state of Colorado. Modern technology designed to enable quality instruction! As an accredited university, CTU has been serving the needs of Colorado students, including service members, since 1965. Throughout our 50-year history, our experienced faculty members have prided themselves on being accessible to students, facilitating collaboration in the classroom, and keeping our Aurora campus on the forefront of technology. A quick trip from downtown Denver or the southeast suburbs! 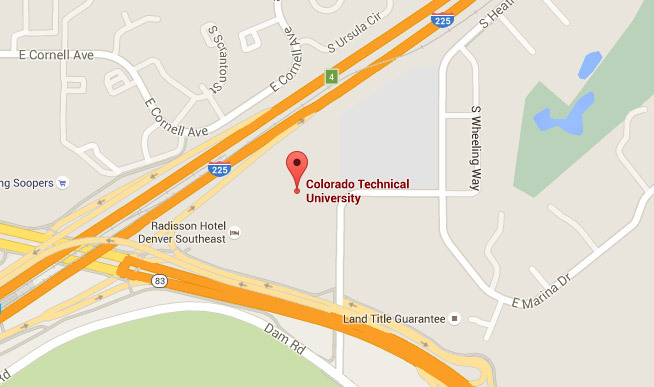 Traffic can be frustrating in the Denver area, but getting to CTU Aurora may be convenient no matter where you are located. Free parking is available, or if you prefer public transportation, the campus is just a short walk from the Nine Mile Station light rail stop. Follow your passion or discover a new one. Explore a variety of on-campus and online degree programs at CTU Aurora including IT, Computer Science, Business, Criminal Justice - Forensic Investigation, Cybersecurity and much more. 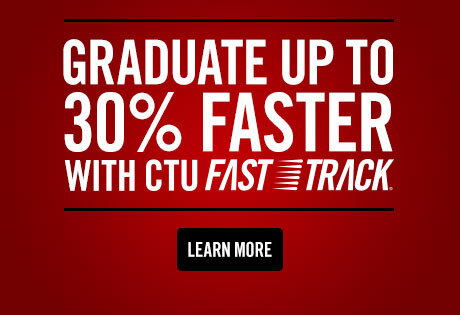 The degree programs at CTU are led by experienced faculty dedicated to student learning and growth. Our professors, staff, advisors and Career Services department strive to support students at each step of their academic journey including their final step into the professional community. A degree can make a big difference in your life. In fact, college graduates report higher rates of overall well-being and happiness.4 Explore CTU Aurora degree programs today and plan for your tomorrow. 1. “IT-Software led 2016 industry growth in Metro Denver, according to new study.” Metro Denver Economic Development Corporation. Retrieved from: http://www.metrodenver.org/research-reports/industry-cluster-study/ (Visited 11/6/17). 2. Kotkin, Joel. ‘The Cities Creating the Most Tech Jobs 2017.” Forbes. Retrieved from: https://www.forbes.com/sites/joelkotkin/2017/03/16/technology-jobs-2017-san-francisco-charlotte-detroit/#73b9d23f38f6 (Visited 11/2/17). 3. Vara, Vauhini. “The Tech Boom’s Second Cities.” The New Yorker. Retrieved from: https://www.newyorker.com/business/currency/the-tech-booms-second-cities (Visited 11/6/17). 4. Marisotis, Jamie. “Want to Be Happier and Healthier? Then Go to College.” Huffington Post. Retrieved from: https://www.huffingtonpost.com/jamie-merisotis/want-to-be-happier-and-he_b_8288354.html (Visited 11/6/17).